Encountering errors is a common situation for MS Outlook users. In case you are not aware of the remedial methods of these errors, it will become difficult to continue using your Outlook 2016, 2013, 2010, 2007, 2003 accounts without any trouble. Keeping this in mind, we have decided to talk about “The Messaging Interface Has Caused an Unknown Error.” Many Microsoft Outlook users have reported facing this error message and said that it hampered the normal Outlook functionality. 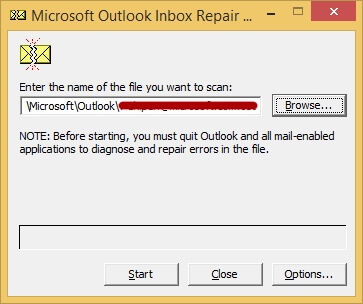 This write-up will share detailed information regarding this Outlook pop up error code as well as its solution with the readers. Let’s begin the discussion with the causes and symptoms of the error. This particular error usually appears due to Outlook PST file corruption. A number of situations can be responsible for the corruption of Outlook PST files. Some of the main causes of PST file corruption are oversized PST file, virus infection, abrupt closure of Outlook email and system, etc. However, there is only one way to resolve this issue and that is to repair corrupted Outlook PST file using manual or an automated solution like SysTools Outlook PST Data Repair Utility. As we have mentioned in the previous section that repairing corrupt PST file is the only solution to this error, there are two ways to fix it. First, we will learn about the manual way to resolve corruption and then we will know what to do if the manual method does not work. Go to the Control Panel of your system and open Mail. Now click on Show Profile option. From all the profiles, select the one that is facing the problem and then click on Properties. Select Data Files tab. The default PST file will have a black check mark icon beside it. Note down the location for future reference. After the location has been found, it is time to run Inbox Repair Tool, also known as scanPST.exe tool. Exit Microsoft Outlook and open scanPST.exe. Type the location of the PST file or Browse to the location. Click Start. The tool will find out the corruptions within the PST file. Click on Repair button once the damages have been found. The tool will repair minor PST file damages. Thus, you can fix the minor corruption issues of Microsoft Outlook PST file. If Outlook 2016, 2013, 2010, 2007 is facing some major corruption, the utility will be ineffective and you need to take help of third-party tools to fix ‘The messaging interface has returned an unknown error. If the problem persists, restart MS Outlook’. In the next part, we will know how to fix PST file corruption using an automatic tool. Recovers all kinds of corrupt or damaged PST files. Fixes corruption in more than one PST file in a batch. Functions efficiently even without MS Outlook Installation. Ability to repair even the password protected PST files. Supports both 32-bit and 64-bit Windows OS and MS Outlook. 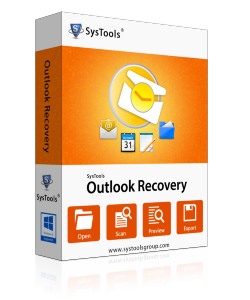 File size does not matter for this robust Outlook recovery application. Like many other Outlook errors, “The Messaging interface has caused an unknown error” is also caused due to PST file corruption. The only way to get rid of this issue is to resolve the corruptions of Outlook PST file. The manual technique to resolve “Messaging Interface Has Returned an Unknown Error” has become outdated already. Now is the time for using automatic utilities that guarantees to fix all PST file corruptions. The PST File Recovery Tool can resolve all PST file corruptions and help users to get rid of this error forever.